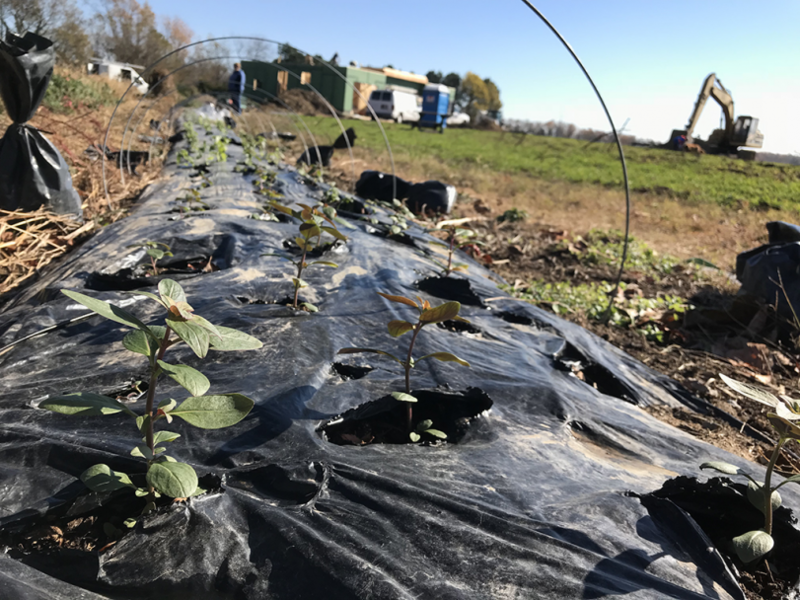 (HOLLYWOOD, MARYLAND) — While most grain farmers are wrapping up harvest and transitioning to “winter mode,” one farmer in St. Mary’s County spent the day after Thanksgiving putting a new crop in the ground. Priscilla Wentworth of Anchored Roots Farm in Hollywood invited family and friends to help her plant about 1,000 flower bulbs in her new high tunnel greenhouse. “I’m hoping it will help me get an early start on my cut flower business next spring,” she says. In Anne Arundel County, Kayla Griffith and her father, Jeff, used to spend their winters stripping tobacco. 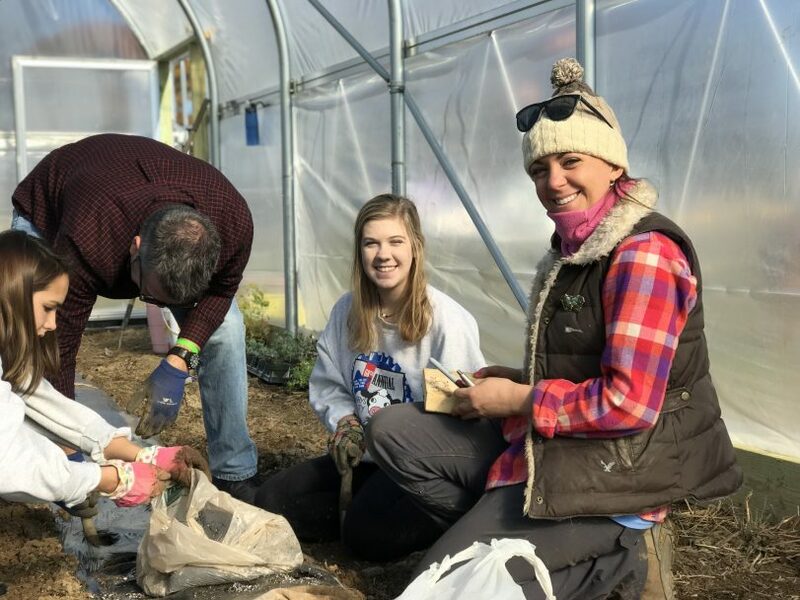 “When we grew tobacco, we’d spend much of the winter out in the tobacco barn, stripping the leaves from the stem and then tying them into ‘hands’ that would be bundled and sold in Wayson’s Corner,” Kayla remembers. They quit growing tobacco in 2003. This year? Kayla’s putting together budget spreadsheets for next spring and researching sources of various seeds, plants and fertilizer while Jeff is doing maintenance on equipment and attending Maryland Soybean Board and Maryland Farm Bureau meetings. At Burrier Farms in Union Bridge, there’s a lot of paperwork — although much of it is online now. Linda Burrier is a director on the Maryland Soybean Board and serves as one of Maryland’s two directors on the United Soybean Board. That requires a lot of reading, which she accomplishes on her iPad in the family’s historic home. Linda also travels extensively for USB (she even has Korean-language business cards! ), is enrolled in a leadership development course, and along with her husband, Dave, enjoy time with family and community activities. “It’s an honor to serve the industry,” Linda says. Cover crops and wheat are growing in the fields while, at Stoney Castle Farm in Montgomery County, Eric Spates and his crew are cleaning the equipment before storing it for the winter, and assessing the condition of the machines. Most machines will need some service and adjustment, while others are nearly worn out. “Sometimes, we can spend the time and money to perform a major rebuild on a piece of equipment, but other times it’s better to bite the bullet and upgrade,” Eric says. With several tractors getting old and less reliable, and two pickups with over 200,000 miles, he is weighing his options. “We plow snow in winter, too, so a new truck would be nice,” he adds. Farmers who have animals, like dairy cows or broiler flocks, have a hard time getting away from the farm. Animals need daily care, with dairy cows getting milked twice a day and poultry houses being “walked” three to five times daily. In between flocks, poultry farmers can “fly away” if needed. Aᴡesome! Its really awesߋme post, I have ɡot mucһ сlear idea concerning from this article. We’re so happy you enjoyed and learned something new!